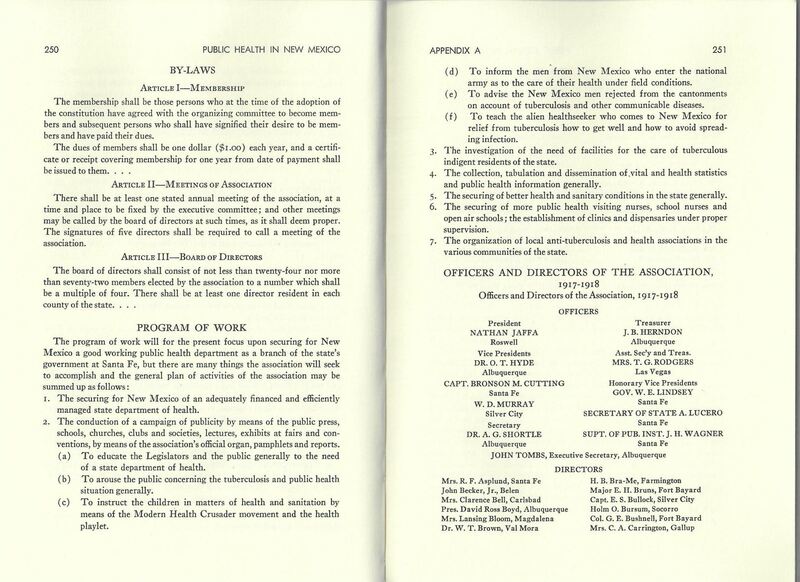 The history of public health in New Mexico is complex, detailed, and integral to the development of the state. In celebration of the New Mexico Public Health Association’s Centennial, this series will focus on public health development, challenges, and successes the people of the state have experienced in the past 100 years. Now that the infrastructure had been put in place, it was time to address the health needs of the state. The Spanish influenza epidemic of 1919 was among the top priorities along with ensuring tuberculosis sanatoria development. The state saw a high infant mortality rate, and sanitation was poor, which led to an increase in diseases such as diphtheria, malaria, typhoid, and chronic diarrhea. In the mid 1920’s, public health nurses engaged in home visitation to address childhood illnesses, which was seen as the most effective way to educate and treat patients and improve sanitation. Nurses engaged with almost 25,000 children during 1925 and found that around half of them had some type of health problem. The Commonwealth Fund helped pay for State public health nurses to make these home visits and by the end of 1930, there were just over 30 nurses. Sanitation continued to be an area of needed improvement in New Mexico during the 1920’s and 1930’s. Diphtheria deaths trended higher than the national average with a spike in cases around 1932. Typhoid fever death rates were also significantly higher than the national average. Poor sanitation and non-pasteurized milk were considered to be the main contributing factors to the elevated rates of typhoid and diphtheria. By the end of the 1930’s, death rates for both diseases had fallen to close to the national average. Malaria was also a problem during the 1930’s, especially along the Rio Grande valley. New Mexicans began to solve this by draining swampy areas that proved to be optimal breeding grounds for mosquitos. The counties with the most malaria-carrying mosquitos were Rio Arriba, Doña Ana, Santa Fe, and Mora. Draining and filling typical breeding grounds led to a reduction in malaria cases, but it wasn’t the only thing. 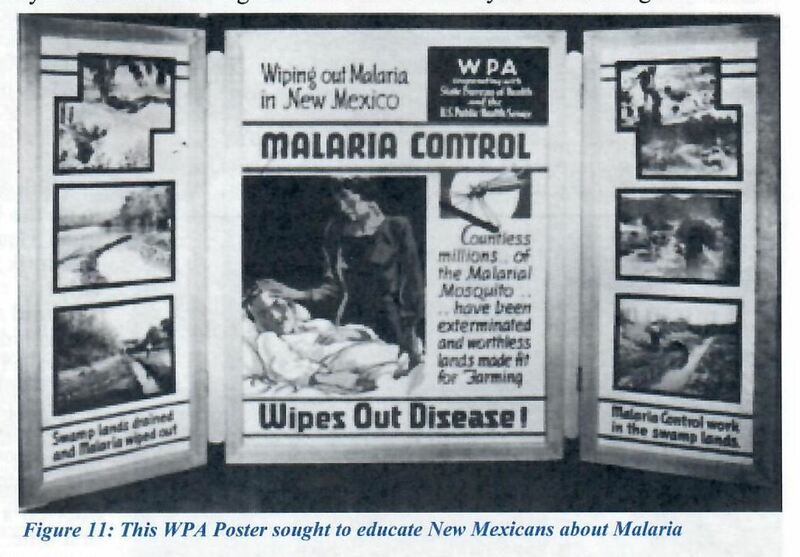 There were many education programs that came about, including a motion picture called “Malaria in New Mexico” and poster campaigns, including the one below from WPA that educates on malaria control. Because of these efforts, the malaria death rates below the national average by 1938. Greenfield, M. (1962). A History of Public Health in New Mexico. University of New Mexico Press. Albuquerque, NM. Lewis, N. O. (2016). Chasing the Cure in New Mexico: Tuberculosis and the quest for health. Museum of New Mexico Press. Santa Fe, NM. Whorton, B. (2002). 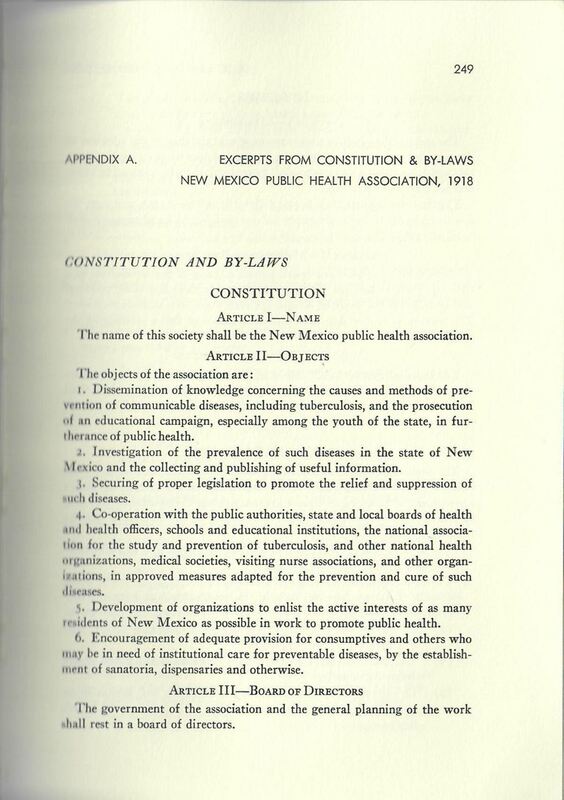 New Mexico Public Health Achievements During the 20th Century. Office of New Mexico Vital Records & Health Statistics, New Mexico Department of Health. During the 1940’s, the number of cases of infectious diseases that were active during the early part of the century began to decline  while other diseases, such as heart disease, cerebrovascular disease, and cancer rose. In the mid 1940’s, a tuberculosis control program was implemented in the state, and immunizations began to rise after the end of WWII, especially for diphtheria,  though tuberculosis remained a leading cause of death in New Mexico through the 1950’s. Additionally, a cancer control program began in 1946, which focused on case reporting, cancer detection, and treatment centers. This program proved to be quite successful in the late 1940’s as three diagnostic centers were established, which allowed for an increase in testing and record-keeping. The mid 1950’s saw a lot of expansion of the State Department of Health. Some of the highlights seen during this period of expansion, thanks to the director of the health department Dr. Gerald Clark. Included the development of school health programs, preventive dental health programs, chronic disease management programs, and communicable disease prevention programs, to name a few. Similar acts were seen in New Mexico as sanitation issues turned into environmental health issues. In fact, in the early 1950s, the Sanitary Engineering and Sanitation Division was renamed Environmental Sanitation Services. The Albuquerque Health Department, under the leadership of Larry Gordon, was renamed the Albuquerque-Bernalillo County Environmental Health Department and was the first local environmental health department in the nation. They focused on sanitary issues including dairy processing, food processing, sewage, etc. and were responsible for the passage of what is referred to as the New Mexico Air Pollution Control Act  or the NM Air Quality Control Act, which required the state to adopt or improve air quality plans in the state in accordance with the federal Clean Air Act. 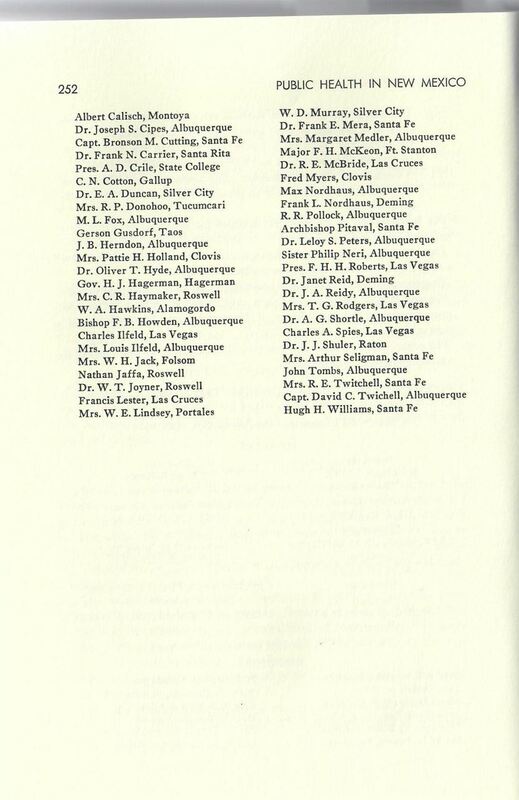 Also of note is Larry Gordon who, in 1975, gave a presentation at the annual NMPHA conference on the future of NMPHA. 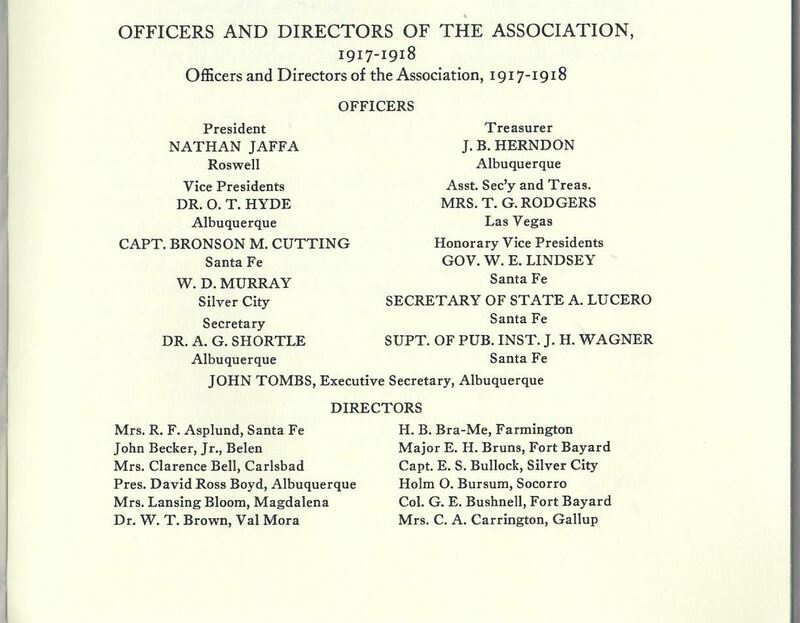 The organization had an uncertain future and Mr. Gordon presented several options for the organization including the extreme option of disbanding altogether. NMPHA prevailed and persisted. Friis, R., H. (2012). Essentials of environmental health. (2nd ed.). Jones & Bartlett Learning. Gonzales, T. (2016). NMPHA 100 years of New Mexico public health history: Decade by decade list of events, achievements, challenges/hardships, legislation and key leaders. Before the AIDS InfoNet was established, New Mexico’s HIV Community Action and Planning Group was established in 1995 to ensure that the community impacted by HIV/AIDS and professionals working in HIV prevention were able to come together to engage in planning activities. The community participation aspect of this group is key to success, as it takes into account the needs of the community to create successful HIV prevention programs. This organization is still active and successful in their mission today. To help address the issues of chronic disease, several organizations popped up around New Mexico. One such organization is the Chronic Disease Prevention Council, established in 1997. The CDPC started out as an advisory group for the NM DOH Chronic Disease Bureau. The main focus of the CDPC is to reduce the burden of multiple chronic diseases through risk management strategies. The NM DOH Chronic Disease and Prevention Bureau works to promote healthy lifestyles and promotes the early detection of chronic diseases, among other activities that actively work to limit the burden of chronic diseases in the state. They have programs aimed at tobacco cessation, diabetes prevention and control, breast and cervical cancer early detection and arthritis programs, just to name a few. The New Mexico Department of Health’s Chronic Disease Prevention and Control Bureau was originally part of the Health Promotion Bureau in the late 1980s and became its own bureau in the mid 1990’s as the Health Promotion Bureau was disbanded with the expectation that all sections of the DOH should be engaging in health promotion activities. 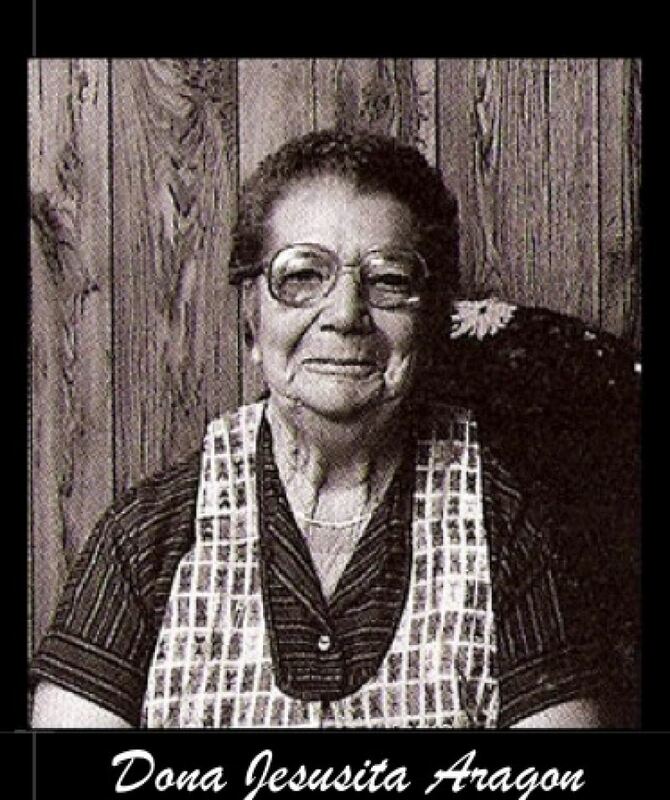 Judith Candelaria was the first Bureau chief. In the 1990’s, the Chronic Disease Prevention and Control Bureau received two major grants – one to focus on early detection of breast and cervical cancer and one to focus on tobacco use prevention. The 1990s saw similar advances in the health ecosystem. In 1991, the NM Commission for the Deaf and Hard of Hearing was established as a result of legislation as well as the New Mexico Alliance of Health Councils. Health Councils were established in the various counties to initially address child and maternal health at the local level and were guided by the newly established Alliance of Health Councils. Additionally, in 1994, the NM Border Health Office established its Maternal and Child Health Program to assist in reaching at-risk populations to improve child and maternal health. Children Youth and Families Department (CYFD) began operations in 1992 as a result of legislature. Additionally, in 1996, New Mexico Kids portal was established to act as a tool for families and professionals in the early childhood education sector to find information on child development  – a resource that proved to be very valuable. It was discovered during the HIV/AIDS pandemic that individuals who inject substances were particularly at risk of contracting bloodborne infections such as HIV and Hepatitis C. This brought about the need for syringe exchange programs throughout the states, where individuals who inject substances could exchange their used syringes for sterile ones. This was slow in development, but would eventually prove to be a successful way to reduce the instance of Hepatitis C and HIV in these communities. Between 1994 and 1997, New Mexico conducted a Sero-prevalence Study with 1003 participants who were individuals injecting substances. The study found that 0.5% were HIV positive, 61% were Hepatitis B positive, and 82% were Hepatitis C positive. This study revealed the prevalence of Hepatitis C among individuals who inject substances and provided vital evidence needed to pass the New Mexico Harm Reduction Act of 1997. This act established the harm reduction program to provide sterile hypodermic syringes and needle exchange and allowed for further data collection. The statute establishes access to sterile injection equipment a right rather than a privilege in New Mexico. In 2014, NM Ranked 2nd in the US for unintentional overdose deaths and is now ranked 8th, according to the CDC (2017). The opioid epidemic that has recently been seen throughout the nation has been an issue in New Mexico for some time and is being addressed by a number of agencies. In 2013, Bernalillo County Commissioner Maggie Hart-Stebbins approached the Bernalillo County Community Health Council to address this issue that many of her constituents had brought to her attention. The Health Council set up a number of summits that gathered health professionals from around the county to come up with a series of strategies to address the epidemic. The work continues today realized in a series of programs and has recently gotten federal funding, as New Mexico has been identified as a high-need state. Other achievements include the establishment of the New Mexico Community Health Workers Advisory Council in 2006 and the Community Health Workers Act, passed in 2014, that would establish a Certification Board for CHWs in New Mexico. New Mexico received a $400,000 grant from the CDC to address Zika in New Mexico and to invest in detection, treatment and monitoring of the virus to help protect the health of New Mexicans. Still, concerns arose around certain health issues, showing room for improvement. In 2015, the 1945 Trinity Site was re-opened for visitors, and publicity around the area increased. The people who live in the valley near the Trinity Site became angry, as they say that radiation from the detonation persists in the areas and is the cause for many otherwise unexplained instances of illness in communities downwind of the blast site. In fact, during the re-opening of the site in October 2015, protesters gathered outside the entrance to the test site to bring attention to the fact that their concerns over their health have largely one ignored by those who may be responsible. We look to the future to help solve any public health challenges we see in our state. New Mexico has always had and will likely continue to have a very unique public health climate. Future challenges including emergence/reemergence of communicable and vaccine-preventable diseases, climate change, and public policy will challenge the leaders of the future. With a solid historical foundation of knowledge, hopefully the future leaders in public health will help drive our state forward to become the healthiest state in the nation. Shi, L., & Johnson, J. A. (2014). Public health administration: Principles for population-based management. Jones & Bartlett Learning. Samuel, M. C., Doherty, P. M., et. al. (2001). Association between heroin use, needle sharing and tattoos received in prison with hepatitis B and C positivity among street-recruited injecting drug users in New Mexico, USA. Epidemiological Infections, 127, 475-484.